Leslie Umberger, Bernard L. Herman, and Theodore Rosengarten will walk through the exhibition entitled, Something to Take My Place: The Art of Lonnie Holley, and discuss their varied approaches and impressions of his works. This event is free and open to the public. The exhibition is a multi-faceted showcase of American artist and musician Lonnie Holley. The comprehensive project features a residency, exhibition, video, concert, and monographic catalogue. It is Holley’s first solo museum exhibition since 1994 and will feature a selection of 40 works on loan from the artist, collector William Arnett, and the Atlanta-based, Souls Grown Deep Foundation. 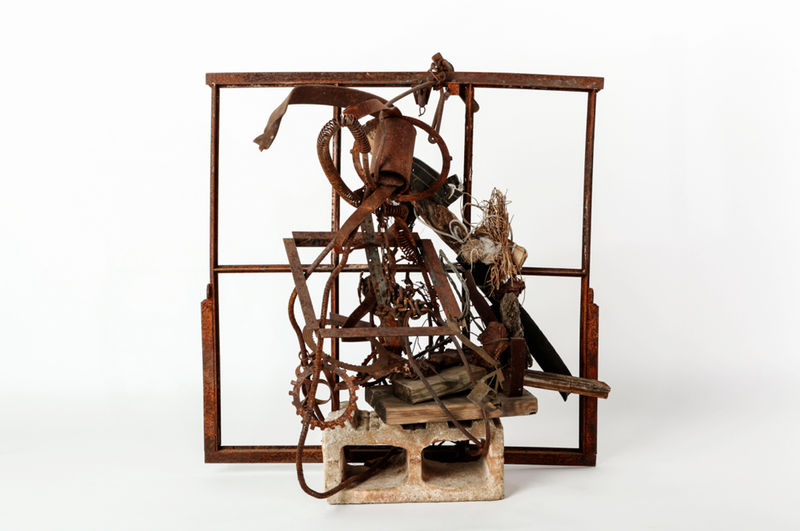 Lonnie Holley incorporates natural and man-made objects, already imbued with cultural and artistic associations, into narrative sculptures that commemorate places, people, and events. These objects “speak” to Holley, unleashing his creative imagination. Holley believes that art and life are in constant need of renewal so he transforms objects that have been discarded or appear worn and gives them new life. Everything Lonnie Holley creates is spontaneous and improvisational. Editing and repurposing are an integral part of his creative method. He presents concepts poetically, utilizing memory and storytelling to catalyze thought. The power of Holley’s work derives from the multiple associations brought forth by new juxtapositions and innovative combinations of familiar objects. These collisions excite the faculties of memory and meaning in the viewer. His works offer a trace of one artist’s raw and honest attempt to turn a thought into a thing.